In Gongoro Village located 200km from "Maasai land" we met Mariaam and Kidogo, sisters of the Maasai tribe in Dodoma, Tanzania. Dressed head to toe in beautiful vibrant clothes of blue and purple, they led our team to their water source. A source which dries up completely during the dry season. 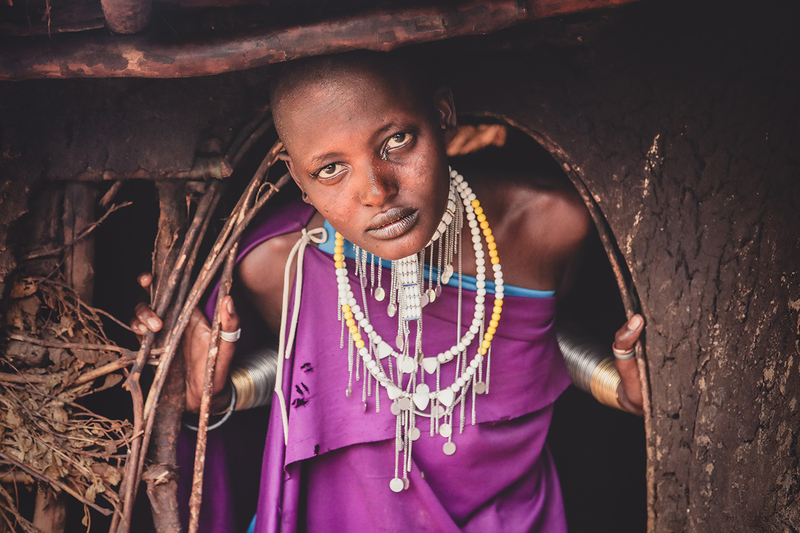 A walk of 5km at least 3 times a day is the only chance for Mariaam and Kidogo to fetch water for their family, which they realize is contaminated and chances of sickness and disease are high. Ridding them opportunities of being in school and learning. After the water source, we were invited into their home to meet their family. Built of branches and covered in cow dung, the extreme geographical distance from their tribe didn't change their way of life nor traditions. But that was the past. Mariaam's struggles to fetch water, miss the opportunity to receive a proper education, or spend time simply, being a kid have all changed. Empowerment is the future. In September 2018, Mariaam and Kidogo's lives changed forever. Our team of engineers drilled 170 meters into the aquifer and reached an abundance of clean water. After installing 5 taps across the village, clean water is now flowing heavily and with a strength of freedom.